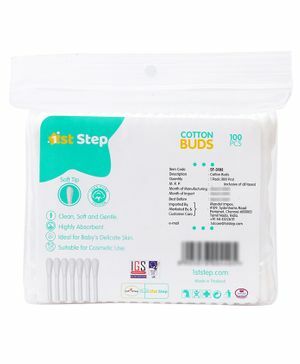 1st Step Cotton Buds are ideal for cosmetic use and baby care. These cotton buds are highly absorbent and natures 100% Pure Cotton. I had bought this product earlier as well. It was nice and meant for babies. However the second order was a waste of money as I got buds meant for adult.